Retirement is a major milestone, and one that involves a lot of planning. As such, it’s natural that you’d want to seek out advice before leaving the workforce and embarking on a new life chapter. That said, there’s a lot of outdated guidance on the internet when it comes to retirement, and following the wrong advice could wreck your golden years rather than help them. Here are three specific pieces of advice you should aim to ignore. The money you save in your IRA or 401(k) will likely pay a lot of your bills in retirement, so it’s important to manage it wisely. Conventional wisdom used to be that you should withdraw 4% of your nest egg’s value during your first year of retirement, and then adjust subsequent withdrawals for inflation. In doing so, you’d give your savings a good chance of lasting 30 years. The problem with the 4% rule, however, is that it operates under numerous assumptions that don’t necessarily apply to your retirement. For one thing, it assumes a relatively even split between stocks and bonds, which your portfolio may not have. It also assumes a certain growth rate from bonds, which they may not deliver if interest rates stay low. Furthermore, it assumes that you need your savings to last 30 years, which may not be the case. If you retire in your late 50s, you might need more than three decades of income. And if you retire in your mid-70s, you probably need a lot less. That’s why the 4% rule should be regarded more as a starting point and less as gospel. If you don’t expect your portfolio to generate a lot of income in retirement, you might withdraw at a more conservative rate — say, 3%. On the other hand, if you wait until your 70s to leave the workforce, you can likely get away with removing 5% of your savings balance each year, give or take. You can also adjust your withdrawal rate based on your evolving needs and goals, so don’t get too set on that 4% figure before you actually see how retirement goes. Seniors are often advised to shift toward conservative investments as retirement nears and once their golden years kick off. And generally, that means choosing bonds over stocks. Now that’s still good advice, to an extent. But one mistake you don’t want to make is unloading all of your stocks in retirement. If you do, your portfolio may not generate the income you need it to in order to keep pace with inflation. A better bet, therefore, is to keep a portion of your investments in stocks, the extent of which will depend on your personal tolerance for risk. For example, if you’re in your 70s and are fairly risk-averse, you might keep just 25% to 30% of your portfolio in stocks. But if you’re bolder on the investment front, you might go with 40% to 50%. You’ll often hear that once you stop working, you can expect your living expenses to go down quite a bit. But that may not necessarily happen. While you won’t have a commute to deal with once your career comes to a close, most of the bills you faced during your working years will still apply in retirement — things like car payments and auto maintenance, utilities, food, clothing, and healthcare. Not only that, but since you won’t have a job to go to, you might need extra money to keep yourself entertained and avoiding boredom. 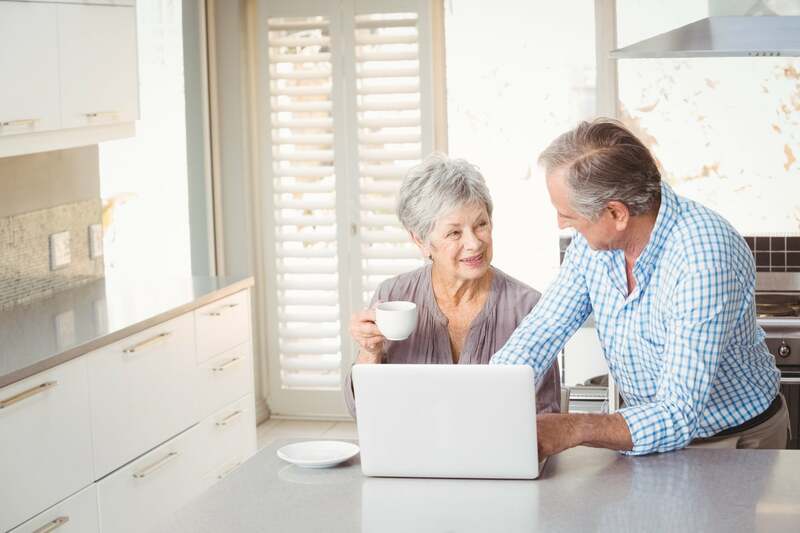 In fact, a study released a few years back by the Employee Benefit Research Institute found that 33% of households spend more money, not less, during their first six years of retirement. Therefore, don’t skimp on savings based on the assumption that your living costs will drastically drop in retirement because chances are, they won’t. There’s a lot of good retirement advice out there, but the aforementioned tidbits just aren’t solid. Consider yourself forewarned.